It's official! 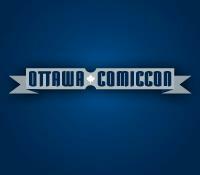 This May 12th and 13th, Ottawa will host it's first ever ComicCon! We here at Ottawa Horror are really excited about this, and along with the good folks at Zombieinfo we've already started getting our booth ready! The ComicCon will be held at the new CE Center by the Airport on Uplands drive. You can get more information at their Facebook Page (go like them NOW) or at their website. This is something that Ottawa has needed for some time now, so let's all make sure we get out and support it! My heart skipped a beat when Inheard this this mirning. I,d love to meet Patrick Stewart. He's my all time favorite Star Trek character. Well, maybe Leonard Nimoy first, but definitely Partick Stewart is second, if not tied with him. Oh my, I'm usually a much better typist than my previous comment, but you get the gist.